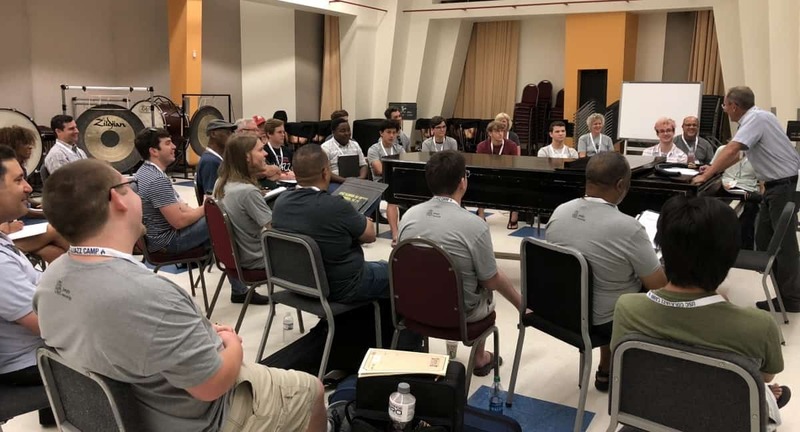 What Happened at the 2018 USC ColaJazz Camp? 52 participants ages 14 – 83 of all levels and demographics took part in our 2018 USC ColaJazz Camp over a 3 day weekend! It was a phenomenal experience comprised of 8 combos, theory classes, specialized sectionals, concerts, jam sessions, a NEA Jazz Master giving not one, but two, master classes, a grand finale camp concert and more! For everyone who took advantage of this year’s camp, we THANK YOU for being there and adding to wonderful time for all. To everyone who could not make it, please stay in touch and we hope to see you next year! WATCH THE WLTX VIDEO COVERAGE! Want to keep going and be great? Check out MusicMentality.com! Mark Rapp’s forthcoming series “Musical Mind: From Spirit to Song” provides exacting studies to acquire technical proficiency while learning common to complex sounds in music and in particular jazz. More than musical studies, this will help break down personal barriers and propel you on as an artist and a human being. Sign up for tips and encouragement that will inspire you to your next level. SIGN UP FOR FREE. BE GREAT!